Dalton State College and the Creative Arts Guild present UTC Fuze Trio, Monday, February 11, 2019 7:30 pm. 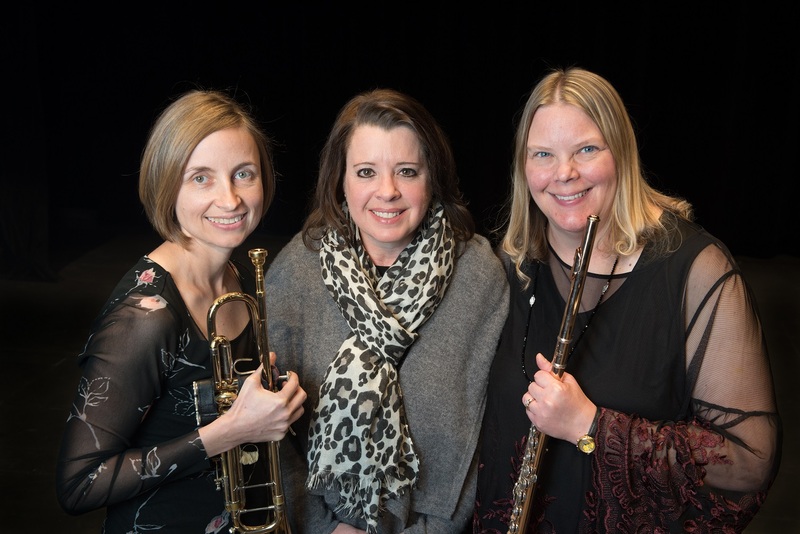 The Fuze Trio features Ronda Ford on flute, Erika Schafer on trumpet, and Jenny Parker on piano. The Trio will perform Monday February 11th at 7:30pm in Jonas Hall at the Creative Arts Guild, located at 520 West Waugh Street in Dalton. Be prepared for an exceptional evening of beautiful chamber music! Admission is $10 for adults, $8 for seniors over 65 and non-DSC students. DSC staff, faculty and students are admitted free with valid I.D.